In an era where crowdfunding is incredibly common, we do not often get to see products that really soar. After all, the market is saturated. So when something does really exceed expectations, we have to pay attention. The Lexip is one such product. 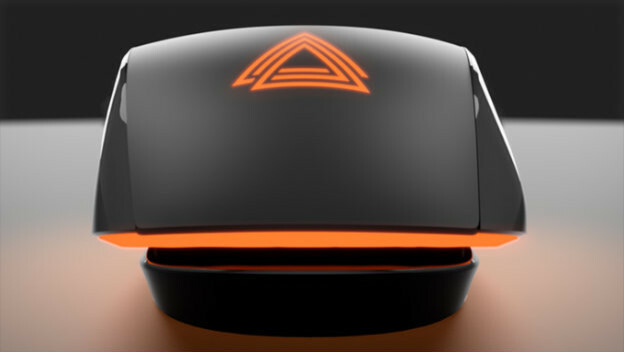 This is a brand new sort of gaming mouse: a 3D mouse. Hugo Loi was asking for $30,803, and it ended up raising over $369,000 on Kickstarter. Based on the early information, this is well-deserved. What does a 3D mouse even mean? Well, it has to do with what the mouse lets you do with a single hand. 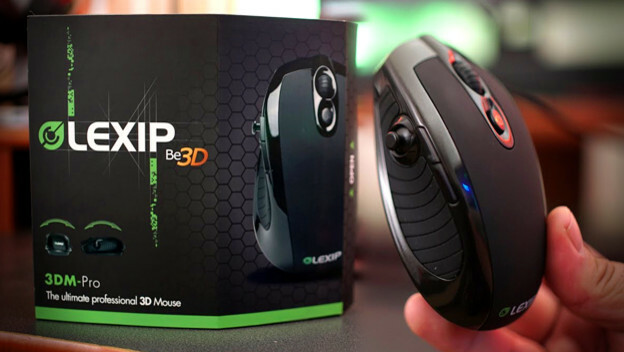 The Lexip is a mouse that actually has two joysticks built into it. Depending on what you are doing, you have access to two possible means of controlling your game without moving your hand. So the basic high performance ADNS-9800 mouse with 8200 dpi and 150 ips30g speeds, which is something you can find, is combined with these miniature versions of full size joysticks on this already pretty stable and great mouse. You have all of the buttons you need, with them and the joysticks being able to be remapped, and even RGB lighting to make sure this new baby fits in with all of your other precious peripherals. I mean, let’s go over the first joystick on the Lexip, which is the shell of the mouse itself. It is capable of registering over 300,000 joystick positions with your forward, back, left, and right movement. As you rock your hand on the mouse, you can be directing controls or the camera. Imagine how easy and comfortable that could be. There may be an adjustment period, as you learn to move the mouse while also not triggering that joystick, but once you get things worked out it could be an effortless joy to use. Think of how cool it could be if you used this to pan the camera, so as you are using your mouse, you could also be moving your view to better see what is happening around you. It has full precision on +/- 20 degrees, so there are plenty of options open to you as you use it. The second Lexip joystick is exactly where you would want it to be, and that is where your thumb will rest. It is a little analog stick in the hollow of the left side of the mouse, just below two buttons. It has +/- 30 degrees of precision in every possible direction. Or, in the right side’s hollow, as the Lexip can be found in variations for righthanded or lefthanded users. This is the joystick that really makes the 3D experience possible, as you have access to this whole other option right near all of the other buttons you rely upon every day. It is the perfect size and fit to help you direct your experience. With a Lexip, it is all about comfort and control. The UI lets you customize controls for the left and right buttons, joystick button, forward and backward thumb buttons, Lexip button, and scroll wheel up, down and click. It lets you prepare macros for specific programs, check for deadzones and sensitivity, and adjust DPI for gaming. It is ready for you to mold it to your needs. The Kickstarter campaign even goes through some games that are not only compatible with, but recommended for the Lexip, like Overwatch, PlayerUnknown’s Battlegrounds, Team Fortress 2, CS:GO, Destiny 2, Grand Theft Auto V, Fortnite, Minecraft, Kerbal Space Program, World of Warcraft, Battlefield 1, and Rocket League. This is a mouse that is already been put through its paces, tested, and shown to work with the games you love. And even if a game you enjoy is not on that big official list, the tools are there to help you make it perfectly accommodate your needs. If you missed the Kickstarter, people will need to wait to grab their $149 Lexip in hopefully July 2018. This is a product that has already won multiple innovation awards at CES 2018. It has been tested. It has shown how well it can work with various games. It is a mouse that could really take a step forward and influence the design of others. We have something that could change everything before us, and that is pretty amazing.